Destination weddings are undoubtedly so much fun for wedding couples and their guests, but we all know that it doesn’t come without a cost. Because you are having to spend more than average to make it to the couple’s big day, a lot of guests ask what exactly they should get as a gift. Wedding experts will tell you that it is tradition to still give a gift, unless told by the wedding couple specifically not to. Whether that gift is anything different than you’d give to any other wedding couple is totally up to you. 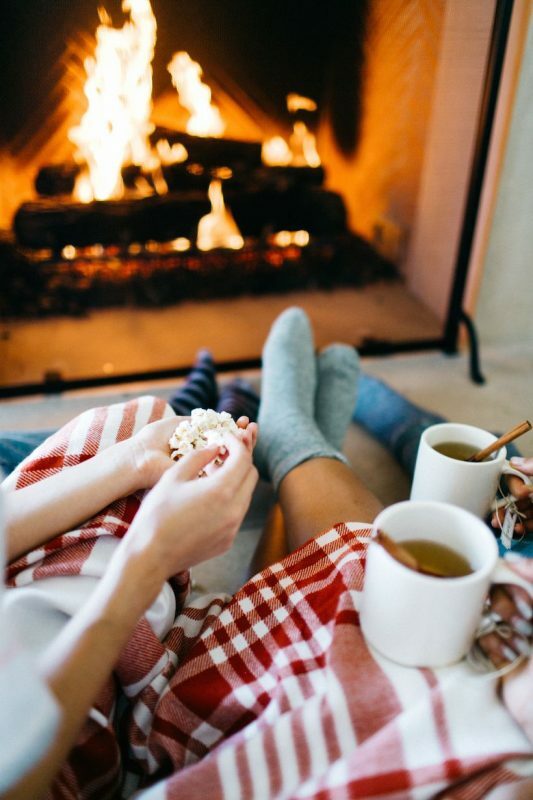 If you’re struggling for ideas and the couple doesn’t have a registry, we have just a few that suggestions that might help, as well as some tips on when and where to give the gift. Amazon.com is the world’s marketplace and a stellar tool for finding wedding gifts. There are virtually endless choices, reviews for quality assurance, and low shipping costs on a lot of items (especially if you have Amazon Prime). You can even have the package gift wrapped and delivered right to the couple’s home. Just be sure that the package will either come before or after they are in destination to avoid the possibility of the package being nabbed while they’re gone. Speaking of which, it is not recommended to bring most gifts with you to the wedding. It’s not super easy for a couple to get a toaster oven in a suitcase! They’ll definitely understand and appreciate if your gift is sent after the nuptials. There are so many details to think about when you are a destination wedding couple (and so many things to pack) that they are bound to miss some things. 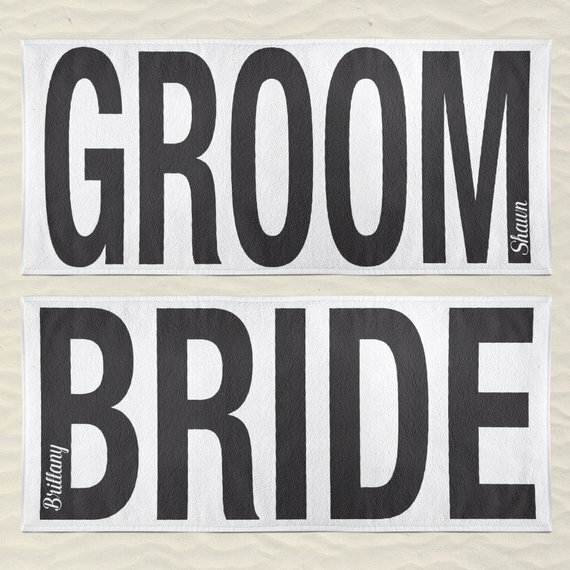 Big beach towels, beach bags, and insulated tumblers are all great gifts that you can actually bring along with you to give the couple. The tumblers are an especially cool idea. The couple can take them to the swim-up bar, have the bartender fill ‘em up, and spend the rest of the day just relaxing! Etsy | Blue Ridge Mountain Co. Returning to the place you were married for your first anniversary is uber romantic. Also many all-inclusive resorts provide options for an anniversary stay for their brides and grooms. Giving them an airline voucher or airline gift card is a great way to help them celebrate their one-year. Just be sure to check the expiration for the card or voucher and verify it will be valid for at least 18 months from purchase. You usually can’t go wrong with a fine bottle of the “good stuff” as a gift. All-inclusive resorts will usually have a wide array of premium wines and liquors available, so this might be one more worth it to send after the big day than bring along with you. Make it easy on yourself and give the gift everyone loves to receive. Is there a favorite restaurant the couple loves to frequent in their hometown? Did they just buy their first house and are in need of some home improvement funds? I’m a personal fan of the grocery store gift card. No doubt they will be more than thankful to not have to worry about grocery funds right after the wedding. 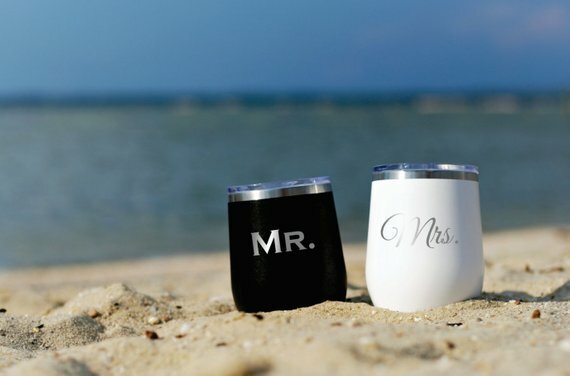 Souvenirs are a great way to commemorate such a major moment in the couple’s lives. 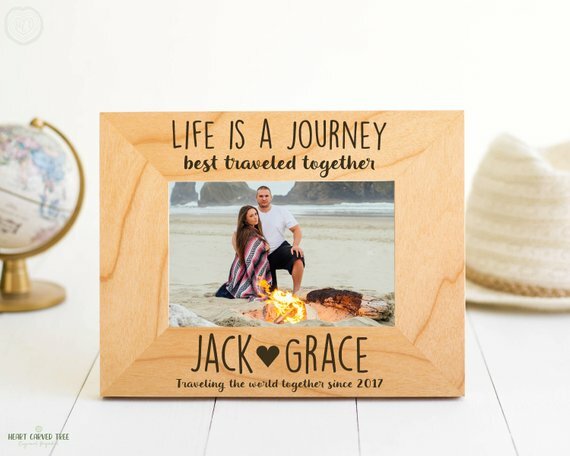 Gift shops at the resorts will often have mementos that are really cute for newlyweds, even ones they can engrave with the wedding date, names, etc. Or you can hit up Etsy.com and find a world of cool travel-related, personalized gifts. 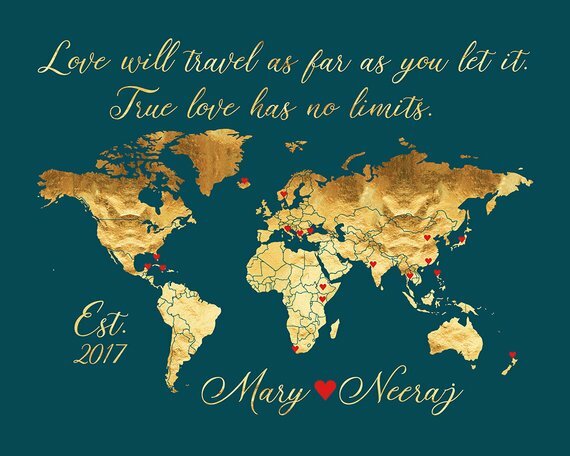 These gifts are meaningful, celebrating the incredible memories you will have all shared while traveling. GIFTS THAT KEEP THEM WARM! Is the couple from a frigid part of the States and marrying in mid-January? They might appreciate coming home to a nice warm blanket, robes, slippers, tea set or, let’s face it, anything to keep them from freezing! It’s much more gratifying to come home after leaving a tropical paradise when you have an oversized blanket to snuggle under next to a fire.